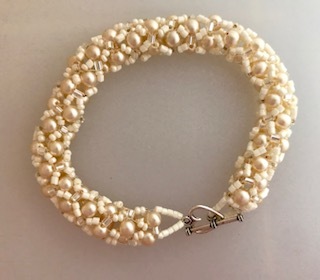 Handwoven beaded delight – this tubular netted bracelet is made from vintage pearl beads and pink and cream seed beads. 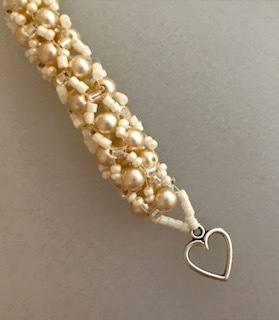 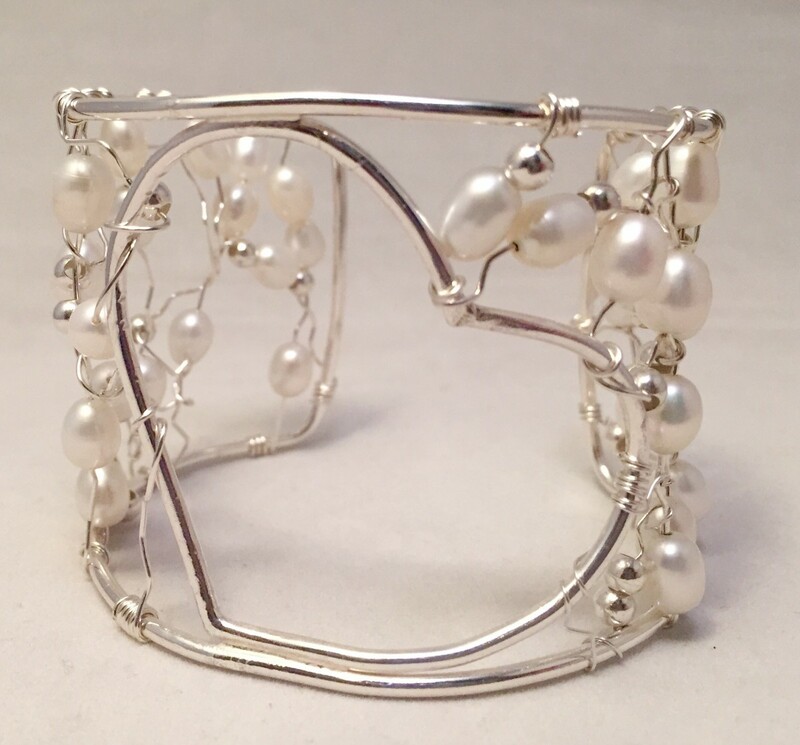 A beautiful gift for someone special, the bride to be or even for yourself! 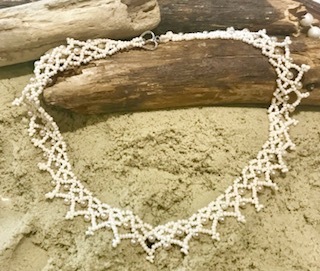 Handmade using over 500 beads and seed beads! 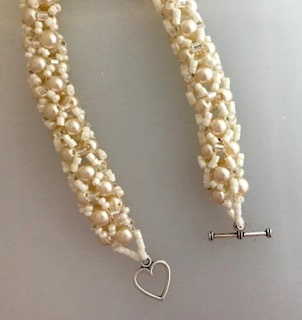 It is easy to fasten with a small heart shape toggle clasp. 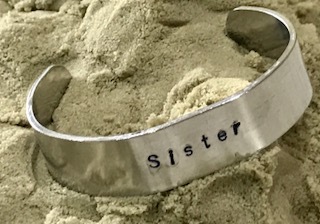 Please refrain from swimming, showering or other water contact while wearing the bracelet.